If you are as bored as me when the Arsenal is linked with same player, in which Gonzalo Higuain, Edinson Cavani and Gonzalo Higuain are repeatedly linked with the club then this report will interest you. Ladies and Gentlemen, I present to you Diego Perotti. According to reports, Arsenal are “Tracking” Perotti. SkySports says he was a target of the club in the summer but the deal fell through due to unknown reasons. It is reported that the deal is back on and Arsenal are looking to bring him to the Emirates in the January transfer window. The player on his part reaffirms his commitment with his current club but believes a deal may happen in January. 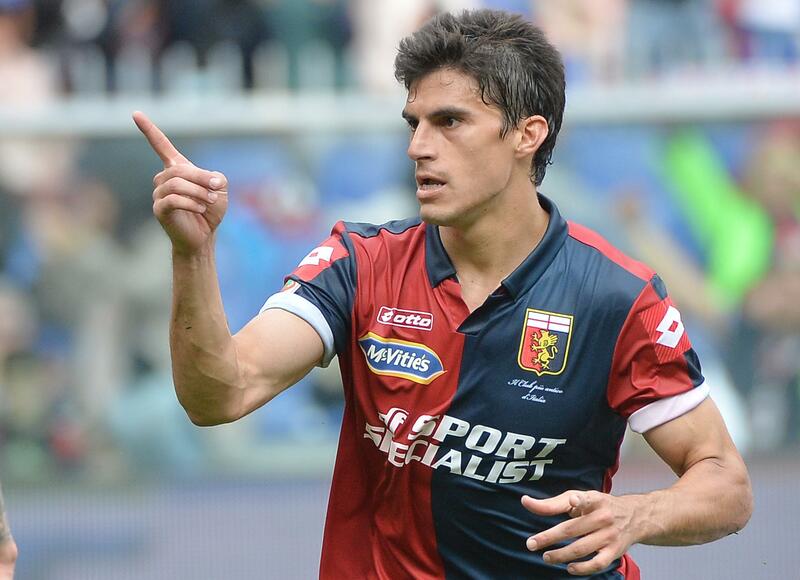 “In summer there was a lot of speculation but my mind has been always been with Genoa,” Perotti told Sky Sport Italia. The 27-year-old has just one goal and an assist in 9 Seria A games. He can dribble for the whole team and is quite strong at crossing, holding onto the ball and making key passes according to WhoScored. Perotti is reportedly valued by his club at £9million.